Created by youth at the Mount Pleasant Neighbourhood House in Vancouver. This project was created by Jamu and Yuha, two youth at the Mount Pleasant Neighbourhood House in Vancouver. 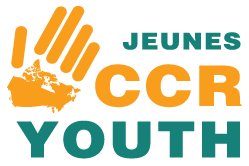 In this video, Jamu and Yuha talk about their stories as newcomer youth in Canada, highlighting the challenges and difficulties they face, including language barriers, difficulties to adapt, cultural differences, and discrimination. They also show how they use dance and music as forms of self-expressions and to better cope with stress and the challenges of their lives in Canada. Through this video, Jamu and Yuha have found that taking their own personal narratives into their own hands has been a very powerful experience, and they hope to inspire other newcomers to express themselves and talk about their experiences. The project was entirely youth-led. The youth received support from a Youth mentor and Media worker on site at the Mount Pleasant Neighbourhood House, but they were responsible for taking the lead in scheduling meetings, filming, and editing sessions. The youth completed the project from beginning to end, overcoming challenges and learning from the experience. This project has given them a professional experience as well as a sense of responsibility and ownership. It has also made them feel more confident and more proud as survivors of an intense settlement process. This video will be used as an outreach tool for connecting with other newcomer youth, as well as an advocacy tool for newcomer youth, in particular those without status and those with a restricted visa like international students. “Never give up, just try and keep trying”. The Mount Pleasant Neighbourhood House is a volunteer driven, community service agency that works with communities to develop innovative programs and services that meet the changing needs of a diverse population.